Did you feel like paying more to Comcast next month to keep using the amount of data you’ve been using for years already? No? Well, if you’re in one of several markets in the southeast, tough cookies: Comcast’s data caps, and their fees, are coming to a cable modem near you this December. DSL Reports has noted that starting December 1, the list of Comcast cities subject to usage-based data pricing is going to get even longer. Several cities in Arkansas, Louisiana, Tennessee, and Virginia are going to be added to the list, according to Comcast’s official FAQ. Markets newly added to the unfortunate shortlist will face the same base 300 GB per month cap as the other cities in the trial program, with charges of another $10 for each 50 GB over the threshold used. For those who don’t want to pay piecemeal overage fees, Comcast started testing a flat $30 fee for unlimited overages in Florida in October, and a few weeks later launched the same option at a higher $35 price point in Atlanta. According to Comcast’s website, this unlimited data option is also available in the newly data-capped areas as well. Usually, Comcast’s pricing schemes are a matter of “we do what we want because we can,” due to a complete dearth of competition in almost every market. However, this particular pricing change also includes Chattanooga, TN, which famously boasts a comparatively inexpensive, robust, publicly-owned gigabit fiber network that Comcast finally has deigned to compete against. The expansion of usage-based pricing across the nation is, alas, not a surprise. Comcast executive mouthpiece David Cohen said in 2014 that he expected the company to implement broadband data caps nationwide within five years. About 12% of Comcast users are already subject to some variety of Comcast’s data cap thresholds, the Associated Press recently reported. 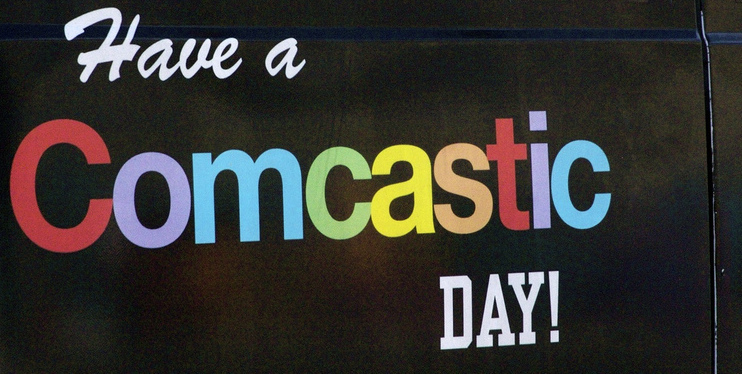 The more Comcast expands the trials, the more likely they are to attract some FCC scrutiny over the matter. Charter, meanwhile, is using its absence of a data cap plan as a selling point to convince regulators that its plan to buy Time Warner Cable and Bright House Networks is in the public interest. Comcast is contacting affected customers to let them know they are going to be subject to usage caps going forward. However, if you are concerned or don’t want to wait, you can also check your account number or ZIP code against Comcast’s list of usage-based billing trial areas here.